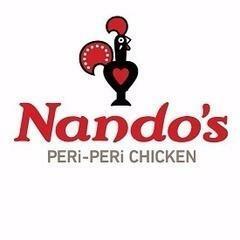 Cleaners are key in providing the Nando’s experience by making certain that our food and beverages reach our customers on sparkling china and glass. Our Cleaners clean and sanitize all dishes, glassware, utensils, pots and are responsible for maintaining organization and cleanliness of dish room, dish machine and storage areas. Cleaners are team players that also assist with cleaning other areas of the restaurant, putting away orders cooking chicken and basic food preparation as requested. Cleaners work with our team to exceed our guests’ expectations and to provide them with the Nando’s experience. <br><br>Essential Functions <br>• Operates dish machines and pot sinks to company and manufacturer specifications. <br>• Uses proper measurements of all chemicals including detergent and sanitizer in the dish machine and pot sinks. <br>• Ensures Dish machine and pot sinks are well maintained and calibrated to comply with sanitation codes. <br>• Alerts management when facility items are in need of repair or service. <br>• Uses and mixes chemicals as directed. <br>• Sweeps and mops floor. <br>• Restocks all dishes, glassware, utensils, pots, and pans. <br>• Removes all garbage and recyclables. <br>• Breaks down, cleans, and sanitizes the dish machine and pot sinks at the end of a shift. <br>• Keeps dish and other storage areas clean and organized.<br><br>Requirements <br>• Ability to learn and practice basic sanitary guideline, dish machine and pot sink operations. <br>• Ability to communicate effectively with co-workers and managers. <br>• Ability to physically handle knives, pots or other items as well as grasp, lift and carry same from shelves and otherwise transport up to 80 pounds to every area of the kitchen. <br>• Proper usage and handling of various kitchen machinery to include dishwasher, slicers, ovens, stoves, <br>grinders, mixers, and other kitchen related equipment. <br>• Proper usage and handling of various chemicals. Nando's Arundel Mills is posting their hospitality jobs on Harri.